Syrah will dominate the vineyard, accompanied by Grenache and a small number of Carignan vines. Patience is required in tending a vineyard, with a full two years devoted to building root and vine structure. 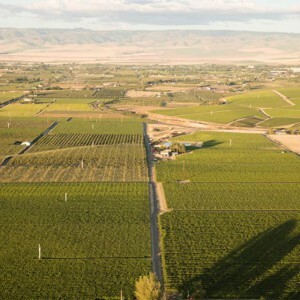 Barrett Station Vineyard lays near the southern tip of the Walla Walla Valley AVA. The soils there are ideal for viticulture, with three quarters of the farm in the deep Ellisforde silt loam soils and the remainder in the Freewater cobbly soils that make up the Rocks District of Milton-Freewater AVA. Vinifera planting began in the early 1980’s with eight acres of Cabernet Sauvignon and Merlot in the Ellisforde silt loam; the success of this block prompted the founders to add another 16 acres of vines in the same soil type. These 24 acres are revered as the Old Blocks. Further planting of Bordeaux varietals continued in 1998, both in the deep silt loam and cobblestone soils. In late winter of 2017 six acres of orchard trees were pulled from the cobble soils to make way for Rhone red varietal plantings in 2018. The painstaking process started with growing Sudangrass to its full height of five feet, then mowing and tilling it into the ground as green manure in early autumn; the block was then reseeded to a winter hardy Arugula. Arugula is planted to protect the land throughout the winter and provide further improvement to the cobbly soil when it goes under the plow. Finally, the block will receive vines in the spring of 2018. Syrah will dominate the vineyard, accompanied by Grenache and a small number of Carignan vines. Patience is required in tending a vineyard, with a full two years devoted to building root and vine structure. The first wines are planned for production in vintage 2020. 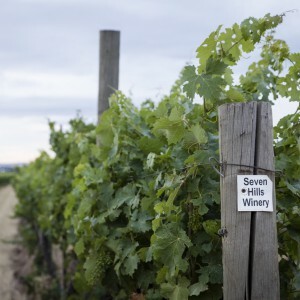 Meanwhile, the 20-year-old Cabernet Sauvignon acres planted to the cobblestones in the late 1990’s continue to thrive and are an important part of the Seven Hills Winery Walla Walla Valley AVA Red Wine bottling.